It’s safe to say that when it comes to satisfying our burger cravings, we’re easily spoilt for choice. However, that doesn’t hinder foreign brands from penetrating the vibrant yet competitive market. The latest is award-winning American alternative Black Tap Craft Burgers & Beer by restaurateur Chris Barish, and helmed by chef Joe Isidori. It opened its first branch in Asia at the Marina Bay Sands two weeks ago, bringing their total number of outlets across the globe to 11; an impressive feat for a three-year-old brand. Barish, who’s known for opening nightclubs in the US, admits that this project was fueled by his love for burgers. “I also wanted to do something different, and I thought it would be a great place for people to come and hang out,” he shares. What started out as a humble burger and beer joint in SoHo, New York, quickly evolved with the addition of its hugely popular CrazyShake milkshakes. It is such a hit with the customers that it prompted the owners to include a standalone milkshake bar in its succeeding outlets. Barish promises an authentic Black Tap experience, as if you were dining at their original SoHo outlet. 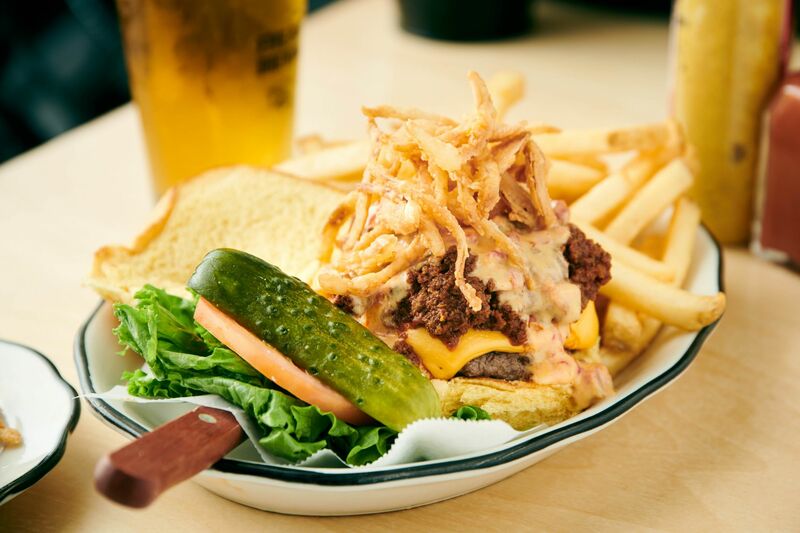 The menu of burgers is also a collection of their best hits, from the Greg Norman (which won the Best Burger Award in NYC in 2015) to the classic all-American burger. Alternative choices range from lamb, chicken and turkey to a vegetarian option, which diners can have with a selection of salads, snacks and sides. Not surprisingly, the CrazyShake milkshakes continue to draw in throngs of crowds—teens and families in particular. And it's not only for their Instagrammable looks, their flavours are equally appealing. Still, Barish was quick to point out that they’re more than just a family place. “Don’t forget that we also have a great craft beer programme, making us popular for office workers and business people,” he says, adding that their target audience range from age eight to 80. The team will also undergo constant training in the US “to understand the culture better”. Suffice it to say, they’ve brought a delicious slice of New York to our sunny island, and they're planning to stay.